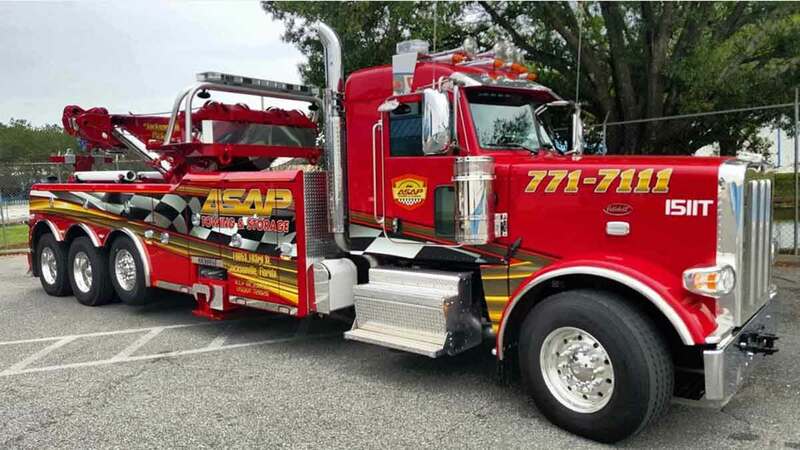 ASAP Towing & Storage provides heavy equipment and machinery hauling services throughout Jacksonville, St. Augustine and greater Northeast Florida. 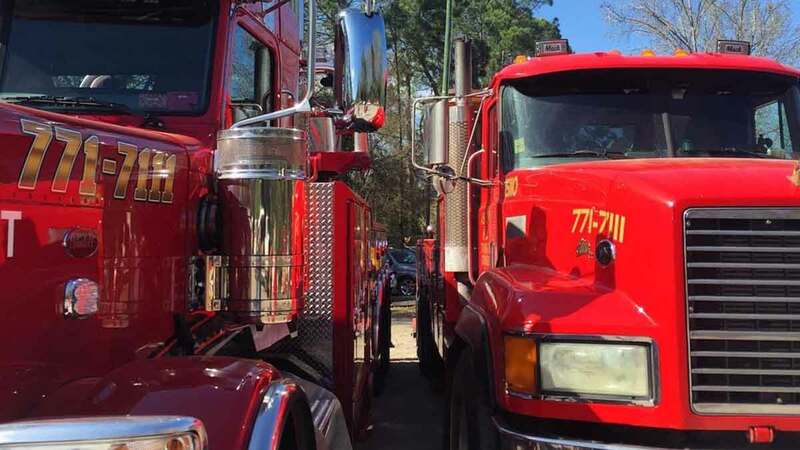 We routinely provide heavy hauling along US 1, US 17, I-10 and I-95 from Savannah to Daytona. We offer scheduled and immediate hauling of all heavy cargo including heavy equipment hauling and heavy load hauling. 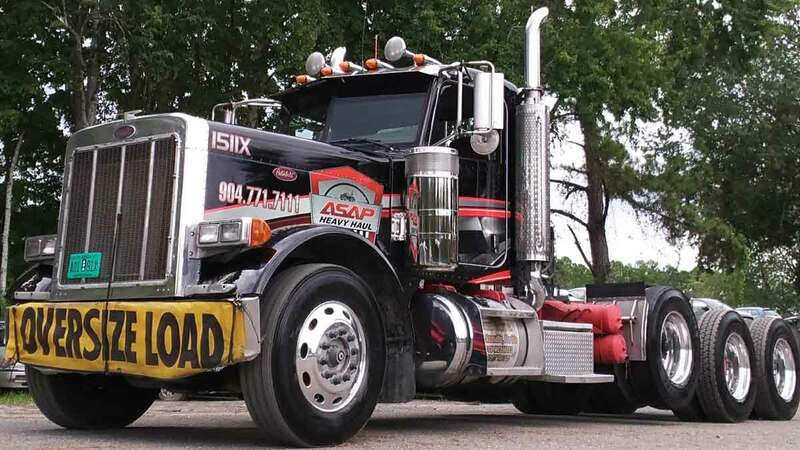 Our uniformed, experienced and trusted heavy hauling drivers have a variety of certifications, allowing ASAP to complete your heavy haul without any issues. All of our drivers have a TWIC (Transportation Worker Identification Credential), a Jaxport credential, and are DOT (Department of Transportation) certified. Contact our 24hr dispatch center now at 904-771-7111 to get the ASAP Team working for you. Our fast and affordable services provide a virtual transportation department for many clients saving them time and money. We can provide emergency or scheduled equipment hauling anytime – 24/7/365. Contact our 24hr dispatch center now at 904-771-7111 to get the ASAP Team working for you. ASAP Towing & Storage provides shipping container loading, hauling, container storage and delivery. Our team of operators are trained and highly experienced in loading and hauling all sizes of shipping and freight containers. Thanks to our Jaxport credentials, we can provide port delivery any time it’s needed. If you’re stuck without proper documentation needed to access Jaxport, we will transfer, hold and store your container while you procure the documents needed. We will then provide Jaxport port delivery to help complete your heavy haul. You can rest assured that your shipping container or heavy load will be safely transported to its final destination. Call our dispatch center now at 904-771-7111. ASAP Towing & Storage is your one-stop source for safe and permitted oversized load hauling in the area. Servicing the wind turbine industry, our 12-axle west coast trailers are built to transport anywhere in the country. We move large military equipment like M1 Abrams Tanks, personnel carriers and water trucks. We also have flat deck that fit 28′ up to 57′ in well. Our 8 axle trailers are set up from 26′ to 46′ in well. 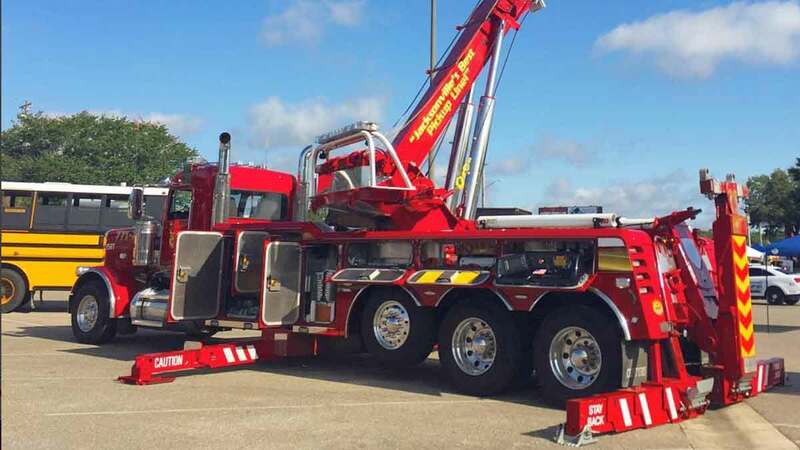 Our 6 axle and our 48′ Landoll flatdecks can handle any smaller loads. Our experienced office staff will handle the entire permitting process ensuring uninterrupted delivery of your oversized load. The ASAP Team has experience in hauling all type of oversized loads and can ensure the completion of your haul as quickly as safety allows. Call 904-771-7111 to arrange hauling of your oversize load.